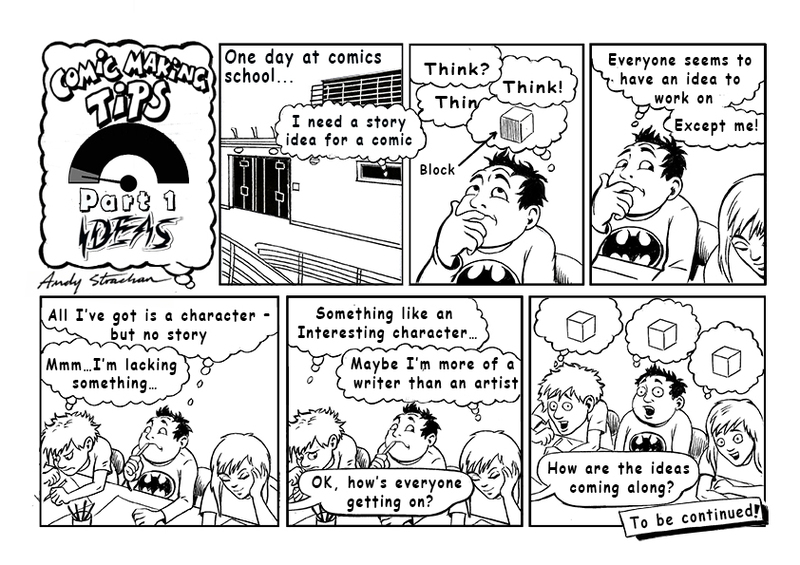 This week’s webcomic is part 2 of Andy Strachan‘s Comic Making Tips. Catch up with part 1 here. Posted on December 15, 2016 February 2, 2017 by dundeecomicscsPosted in web comics, workshopsTagged andy strachan, comics, tips, webcomics. 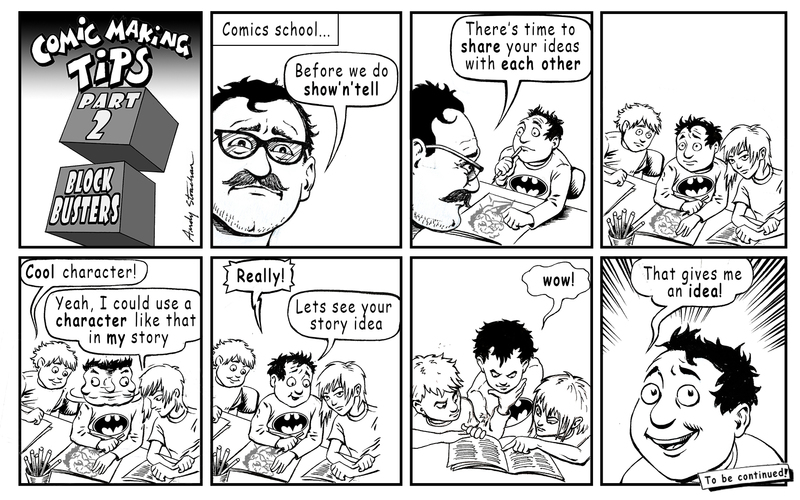 Ever stuck for ideas when making comics? Well, our new strip series by Andy Strachan might just be able to help you out. Posted on November 16, 2016 February 2, 2017 by dundeecomicscsPosted in artist, web comicsTagged andy strachan, comics, ideas, webcomics, writers block. 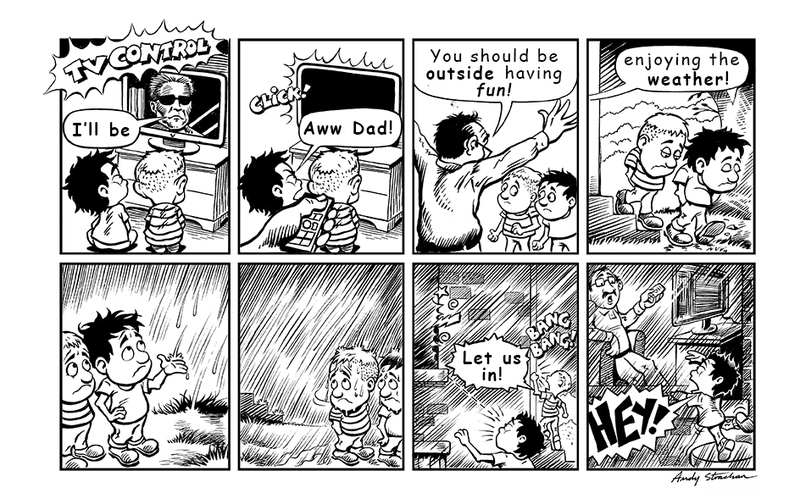 Posted on October 5, 2016 February 2, 2017 by dundeecomicscsPosted in web comicsTagged andrew strachan, andy strachan, rain, television, weather, webcomics.